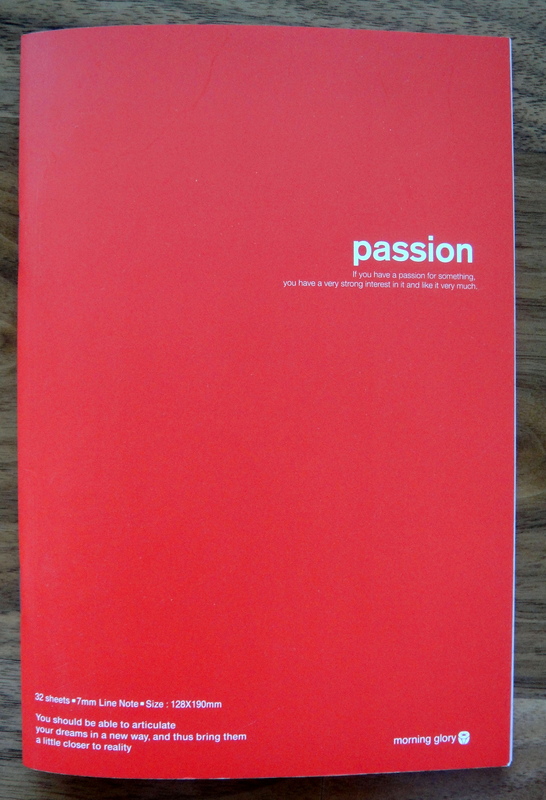 The Morning Glory Passion notebook contains 32 7.5″ x 5.1″ sheets of lined (7mm rule) red paper. Morning Glory calls these notebooks “Colored Inner Paper Mini Notebook”. They come in other colors such as blue, green and yellow,. The different colors have different sayings on them; I saw a a blue one that says “diligence” on the cover. 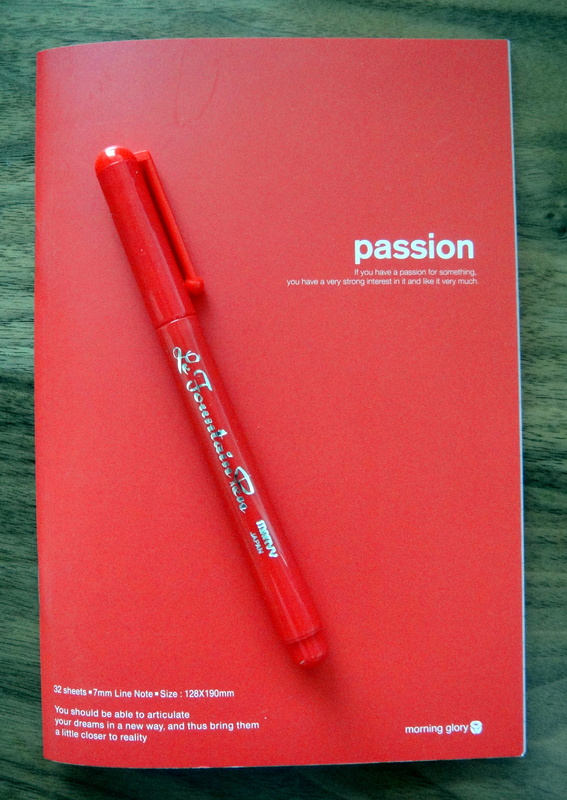 The notebook looks great with a bright red cover and pinkish red pages. 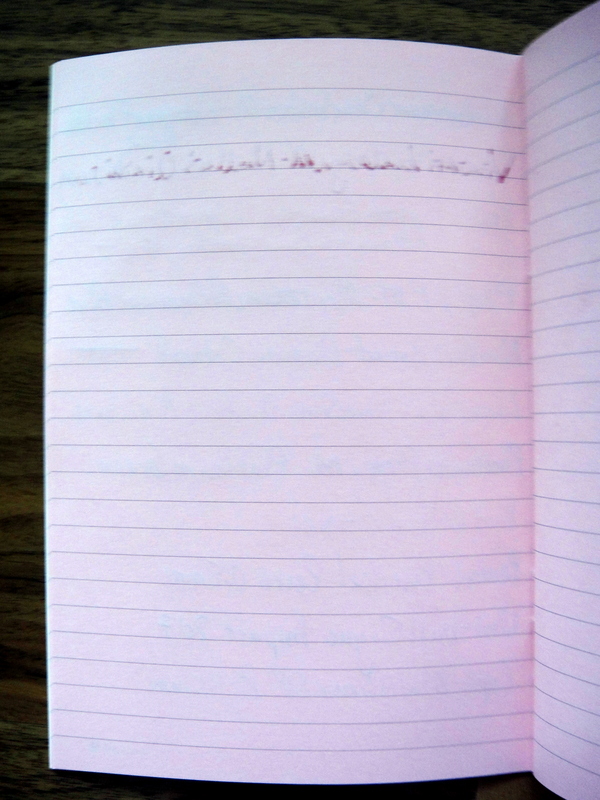 The notebook is bound with two staples. 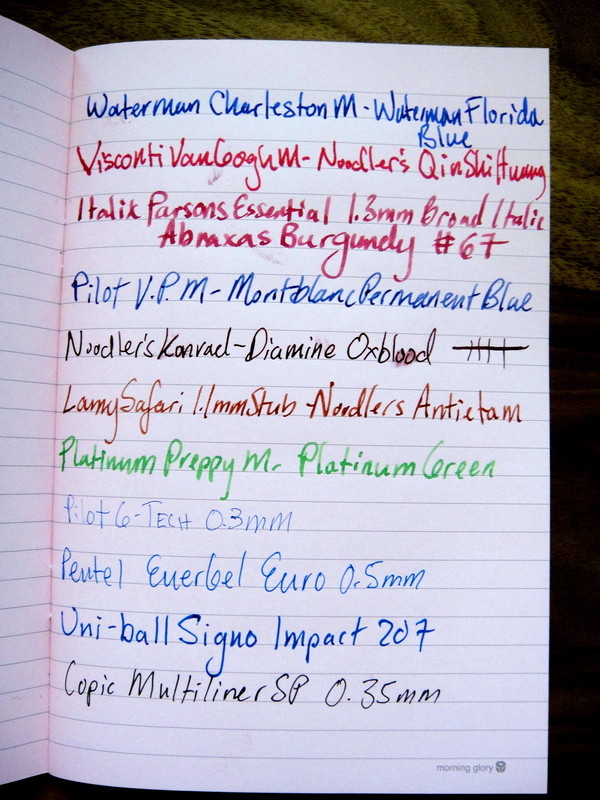 The paper handles fountain pen ink very well. I only saw bleed through and feathering with my Visconti Van Gogh combined with Noodler’s Qin Shi Huang. The paper is thick and smooth. I there was little ghosting; you can easily write on both sides of the paper. The pages are much more red (pink) than the pictures show. I really didn’t care for the Morning Glory Mach 3 but if you can handle colored pages this notebook for $2.00 is a complete home run. 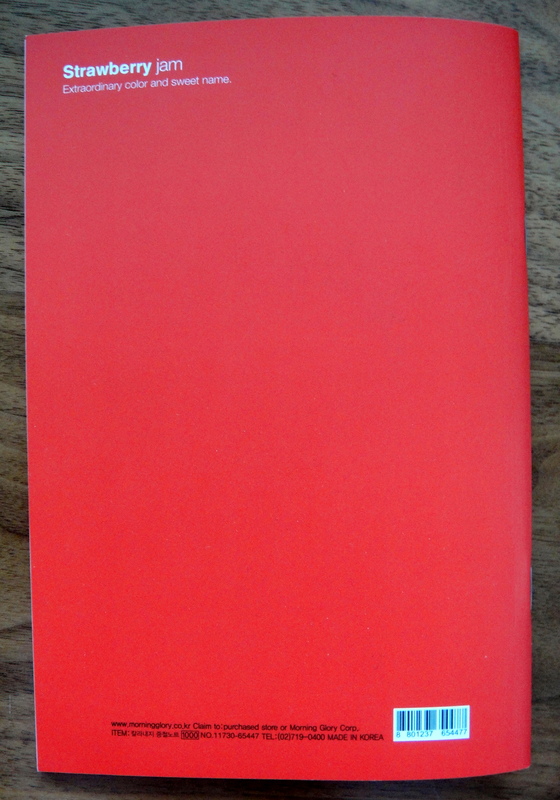 The notebooks look great, handle fountain pen ink well and are ultra cheap to buy.